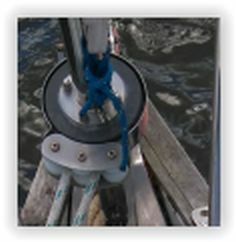 Can someone p l e a s e give me the name of the make of my furler ? I think it comes from a maker on the East Coast. Stainless steel drum. Agree with Champagne Murphy, it's a Sailspar. Good bit of kit and very helpful people. +1 very helpful, I love mine.